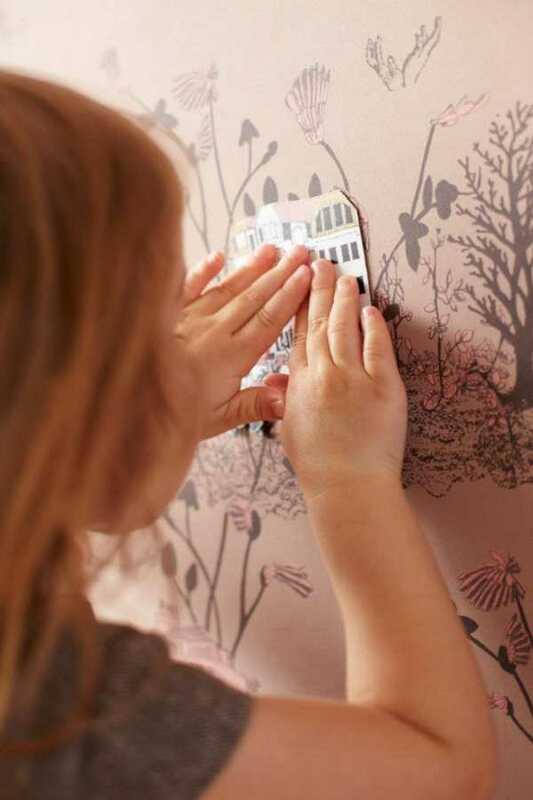 This wallpaper is beautiful in its own right, but the little secret it harbours makes it even more intriguing – and perfect for a child’s space. Wallpaper is something you either love or hate. Not just for its look, but for the time it takes to install. So if you are going to commit to such a decorating leap of faith, you may as well get plenty of bang for your buck. 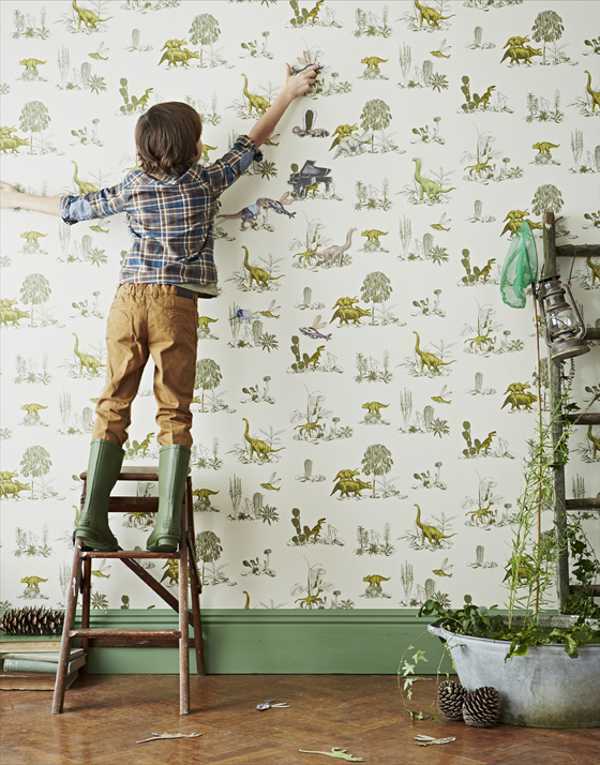 And this wallpaper does just that – marrying a decorating statement with a child’s plaything. Introducing magnetic wallpaper. 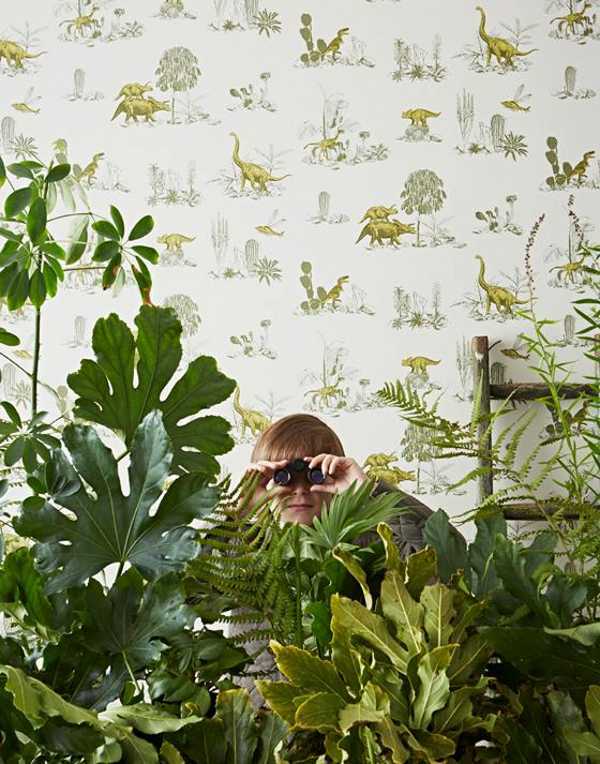 Sian Zeng is a London-based design company specialising in wallpapers, interior accessories and gifts. And the specialist niche its carved for itself now includes a range of magnetic wallpaper. The designs of the wallpapers are really breathtaking. Detailed and unique they will capture the imagination of children. Woodlands is whimsical and dreamy and Dino is everything budding palaeontologists could ever imagine. Both designs come in several different colour options. 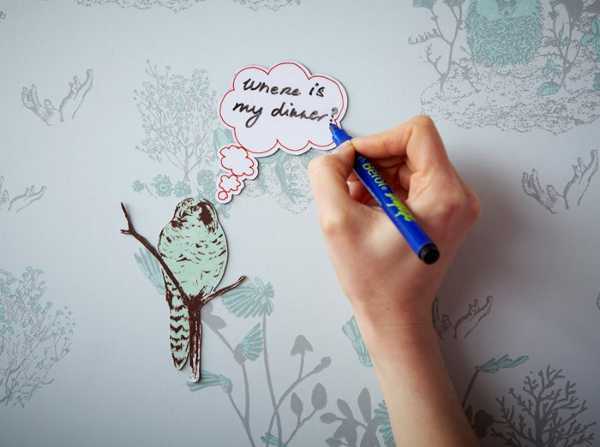 You may be wondering how the magnetic wallpaper is achieved, and the magic is in a magnet receptive liner which is pasted onto the wall first with pre-mixed wallpaper paste. Once dry the wallpaper is pasted on top to create the magnetic wallpaper effect. For fun wallpaper play, Sian Zeng also sells some really gorgeous magnets starting at £3.95. The wallpaper costs £248 for a ten metre roll, plus ten metres of the magnet receptive liner, and delivery to Australia is available.